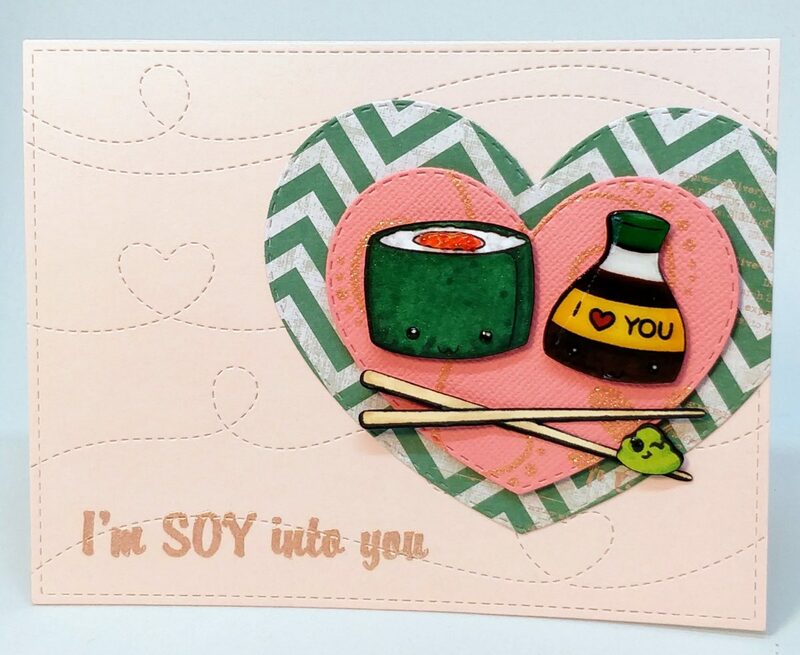 I‘m Soy into sushi cards! 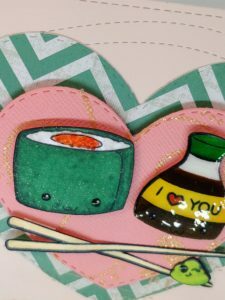 I just made a pair using the new Roll with Me stamp set from Beth Duff Designs and I’m really excited to share them with you. For this card, I stamped, colored and fussy cut the images. I framed them on a pair of nesting die cut hearts (I used a floral stencil and glittery embossing powder to decorate the pink layer), then attached my hearts to a light pink card front that I die cut with both a stitched rectangle (from Heffy Doodle) and Stitched Trails (from Lawn Fawn). Love that green chevron paper? Me too (thanks Heidi Swapp)!